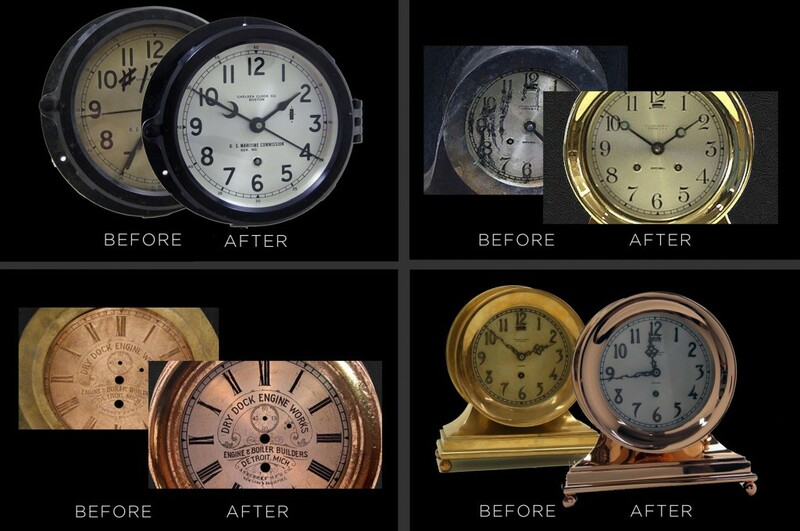 Chelsea Clock has been repairing and restoring clock cases on a variety of timepieces for over a century. Whether your clock case needs repair, restoration, or refinishing, you can trust our seasoned experts with your valuable piece. Chelsea’s master clockmakers have experience repairing and restoring clock cases that have been damaged due to time, mistreatment and even fire. We understand how important your timepiece is. So simply fill out a Repair Request, send your damaged clock case to us, and our master clockmakers will evaluate it provide a free estimate – with no obligation.